Search for the best health insurance rates available today by typing in your zip code above now! The Catlin Specialty Insurance Company has been given an A (Excellent) financial security rating from the A. M. Best Company. The A. M. Best Company has also classified this business as XV for financial size. This categorization means that the company makes $2 billion or more every year. The company almost doubled its size in 2006 when it acquired Wellington Underwriting. 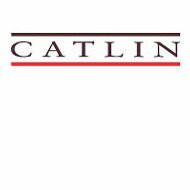 For specialty reinsurance, Catlin offers coverage for credit and surety, life reinsurance, and accident and health insurance. Compare the health insurance rates of the Catlin Specialty Insurance Company to other health insurance providers where you live now with the health insurance quote comparison tool above. Type in your zip code now!